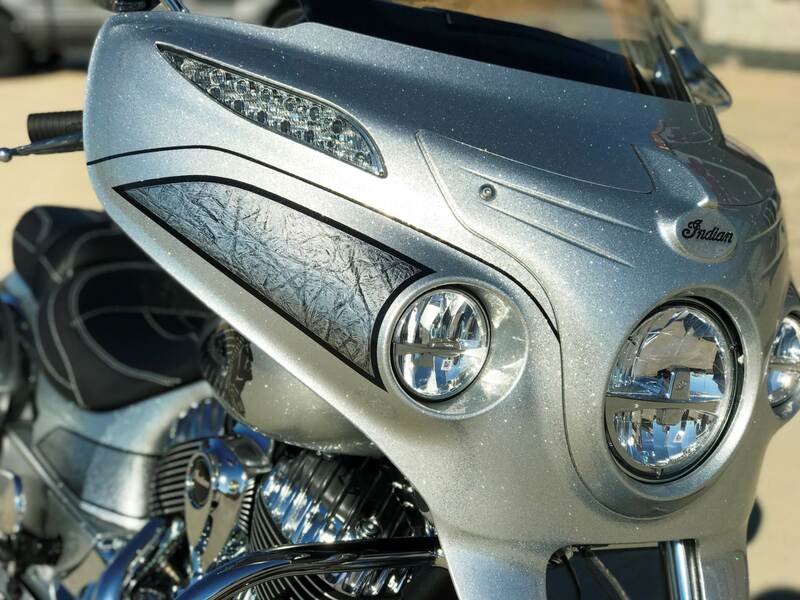 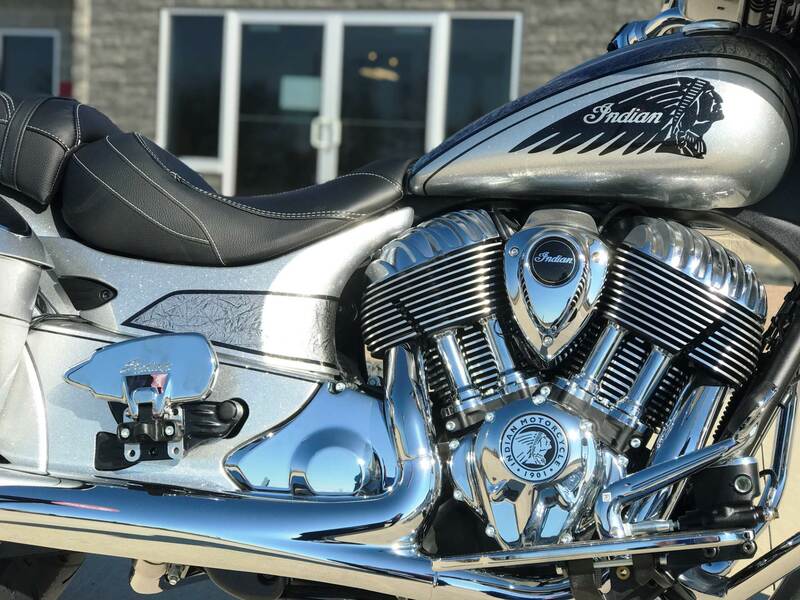 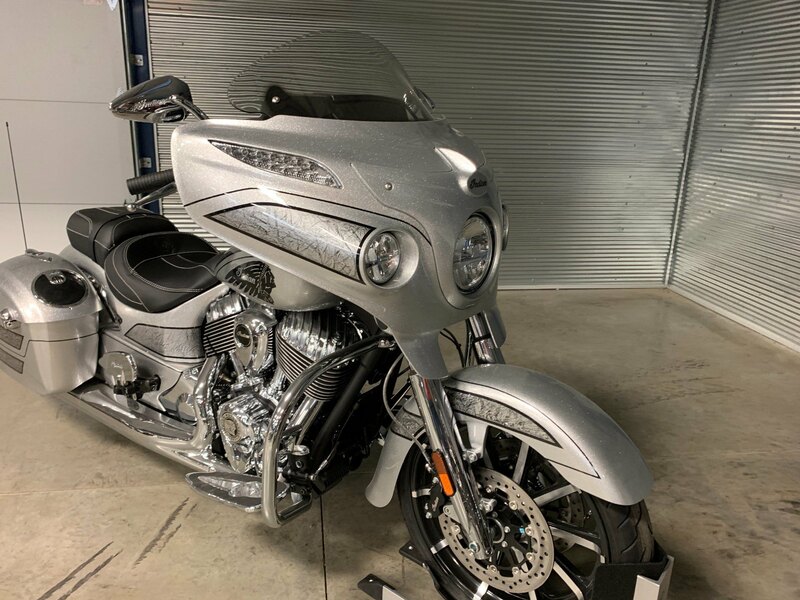 PAINTED BY HAND: No two bikes look the same. That's because it takes a team of experts nearly 25 hours to complete each one by hand. 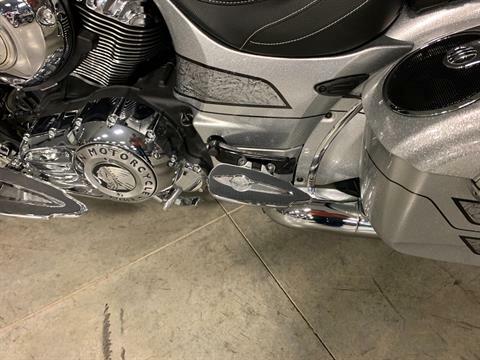 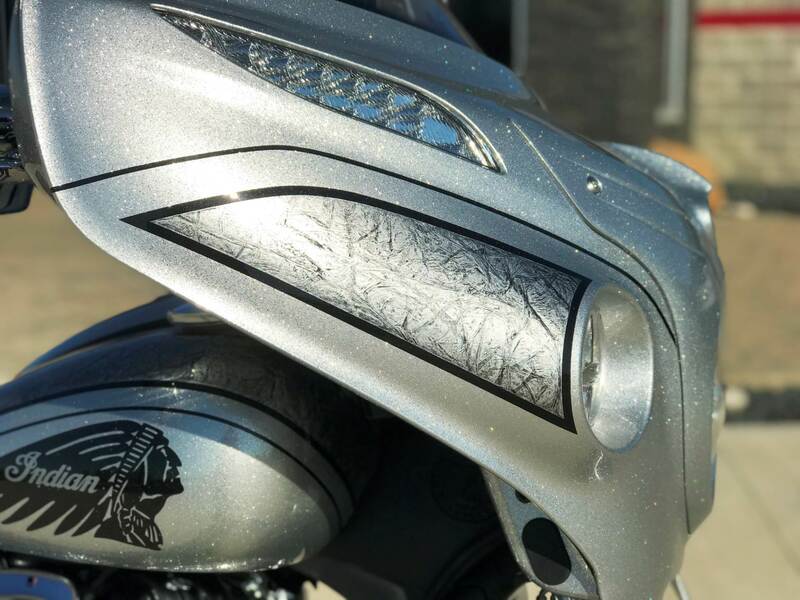 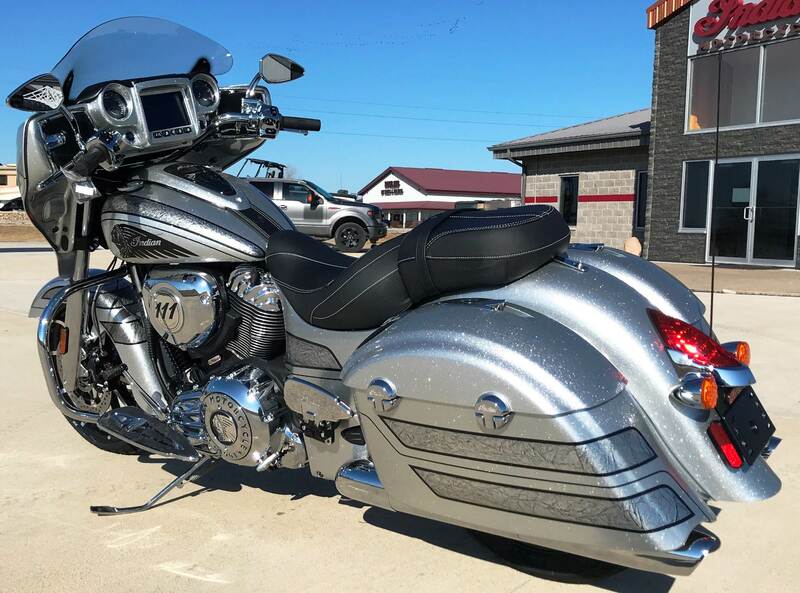 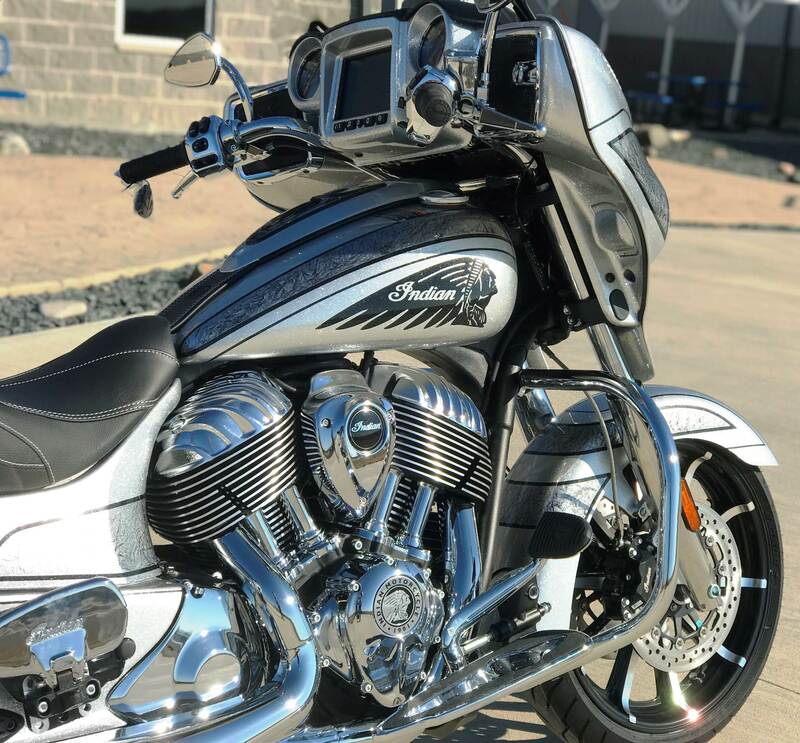 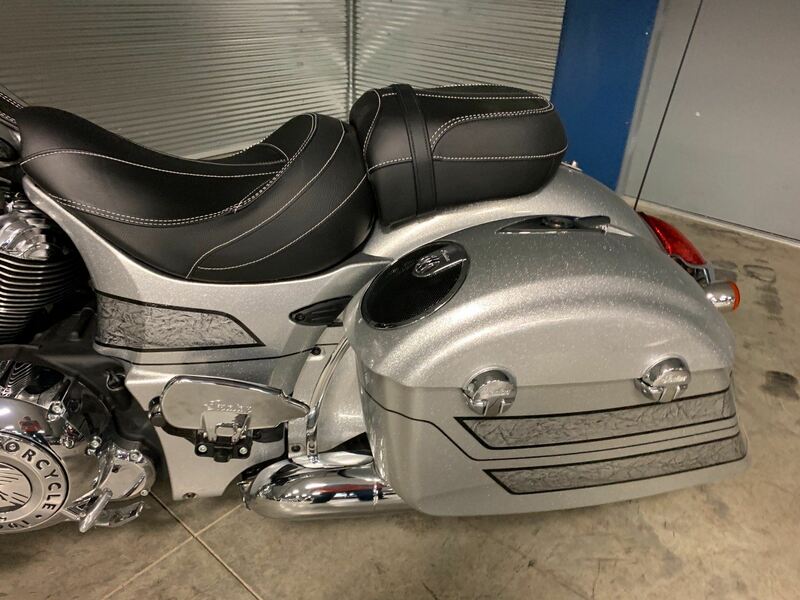 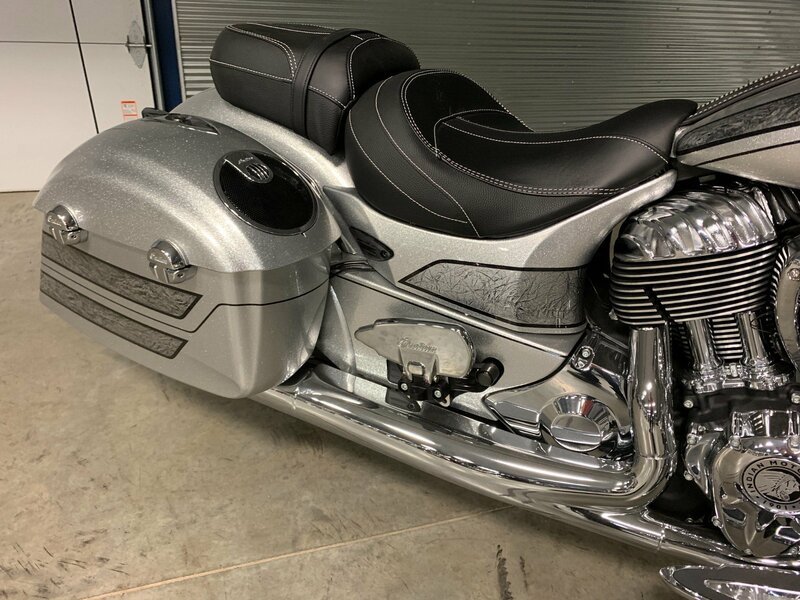 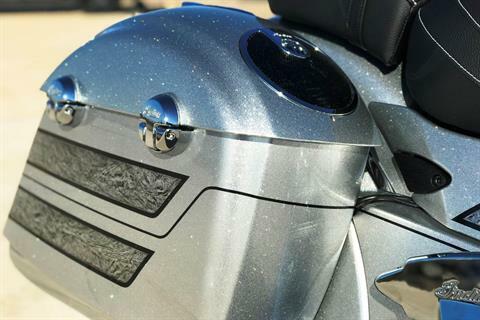 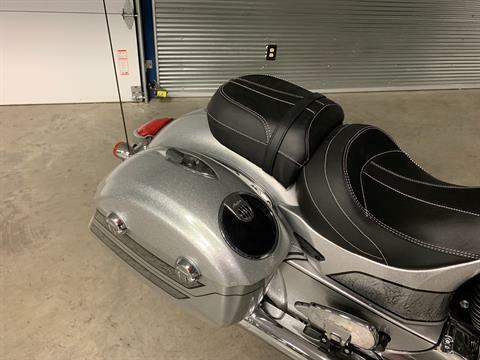 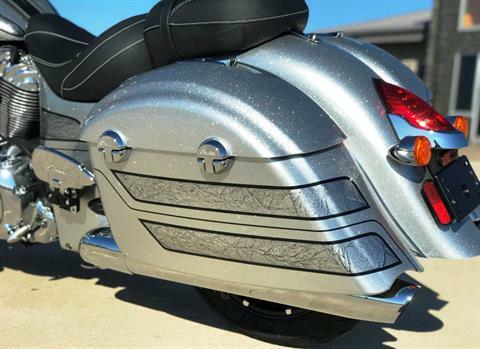 PREMIUM 200-WATT AUDIO: Integrated speakers in the front fairing and rear saddlebags deliver surround sound audio. 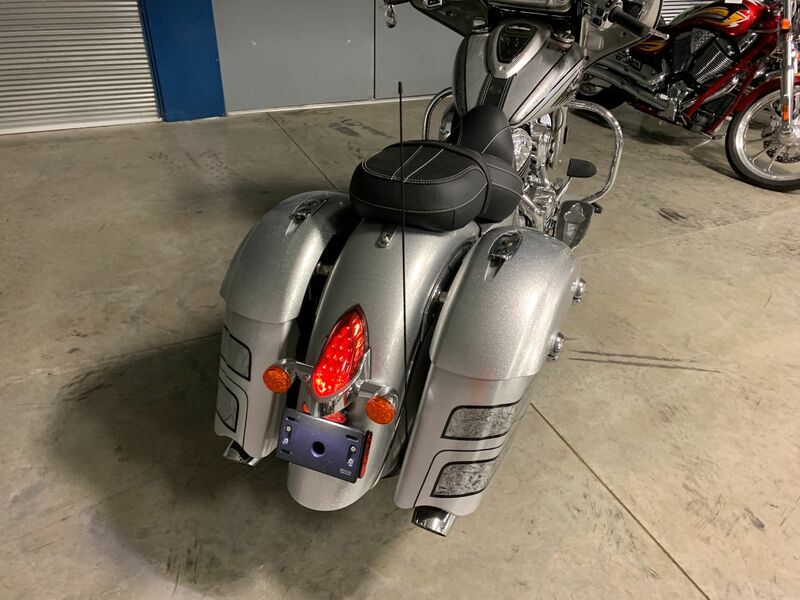 PATHFINDER LED LIGHTS: Powerful LED head and driving lights illuminate the road for safe riding, day or night. 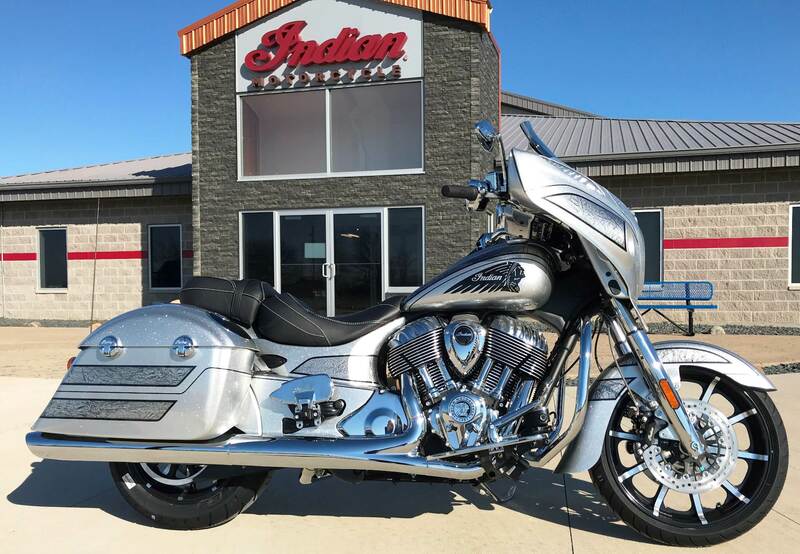 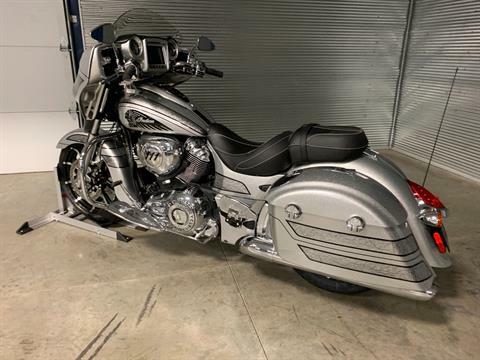 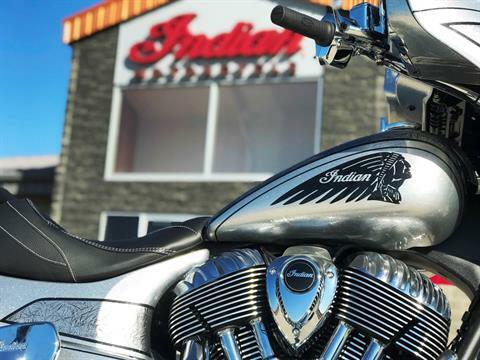 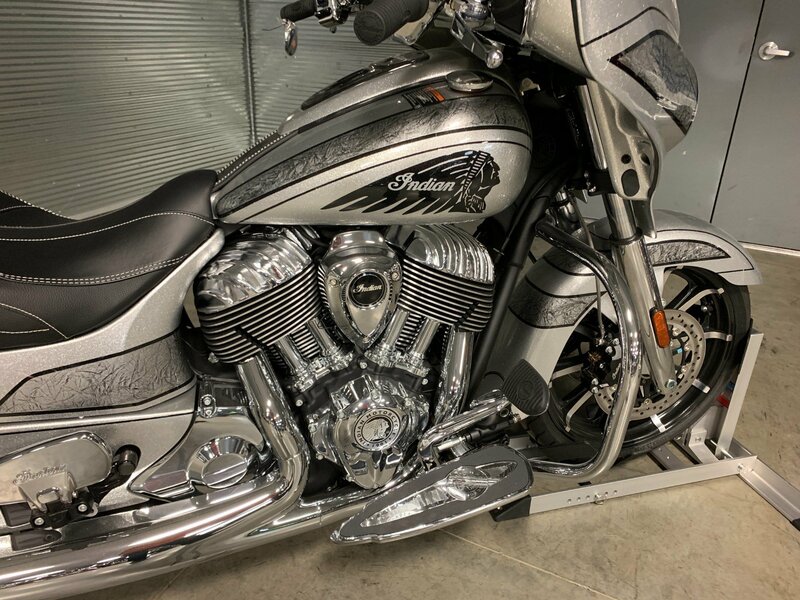 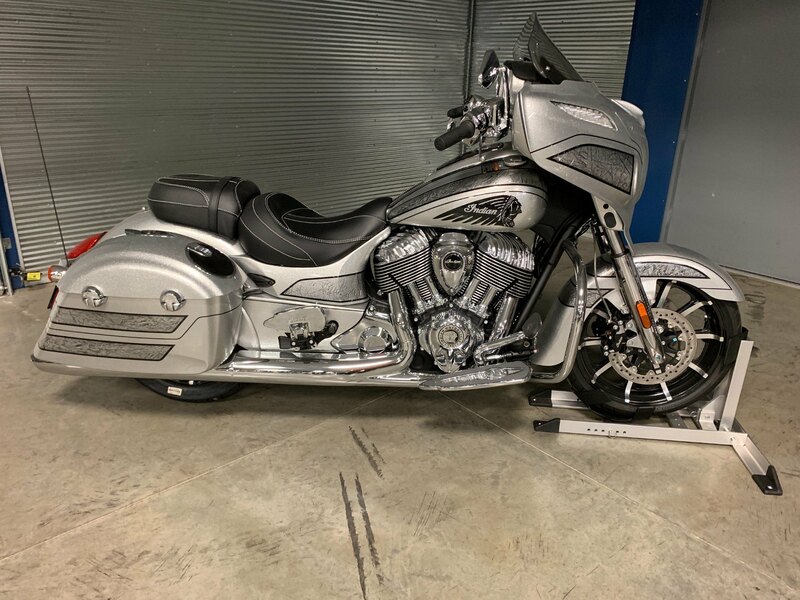 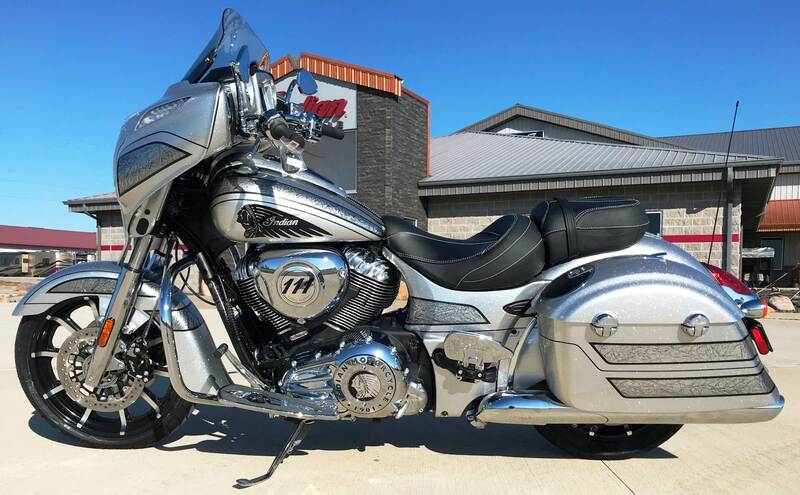 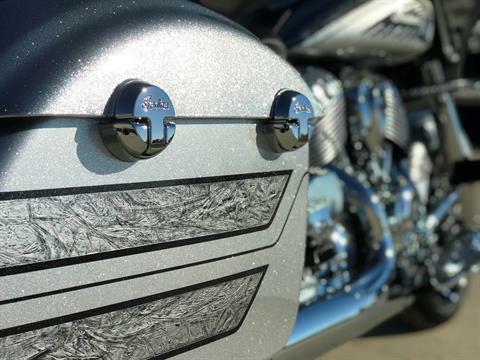 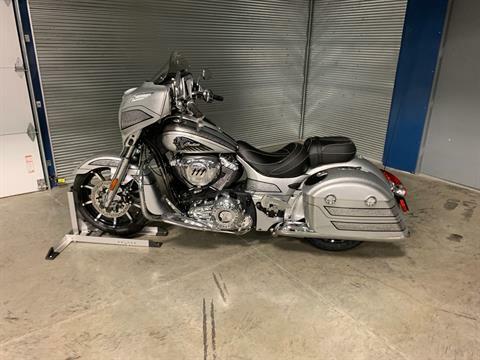 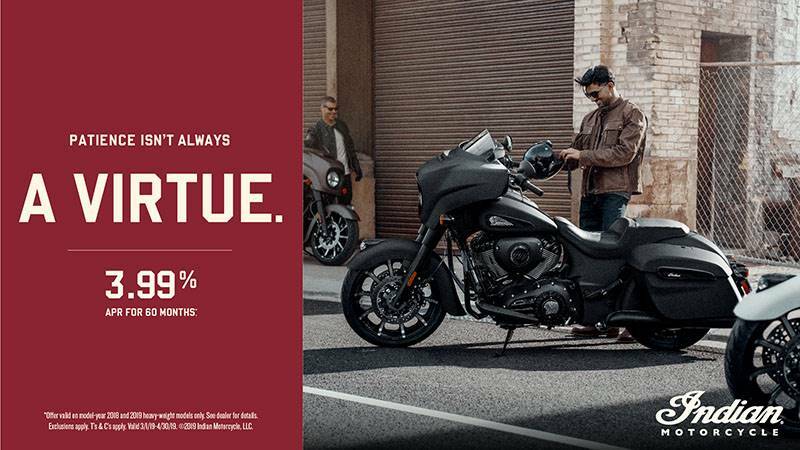 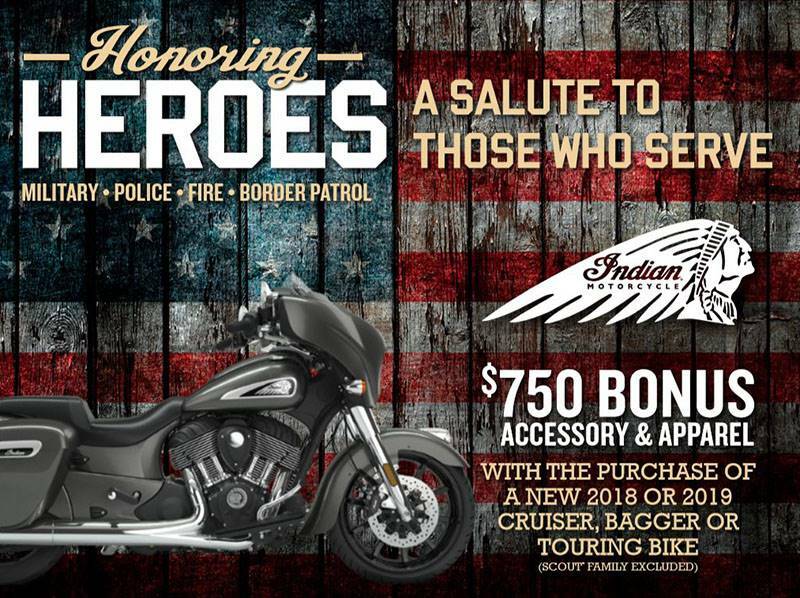 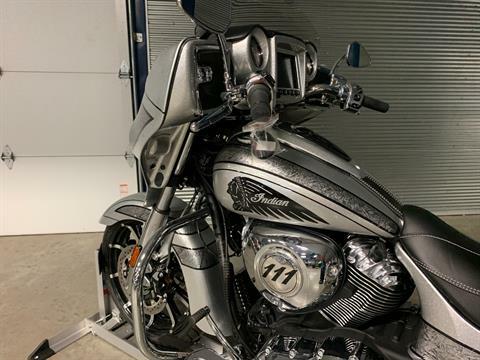 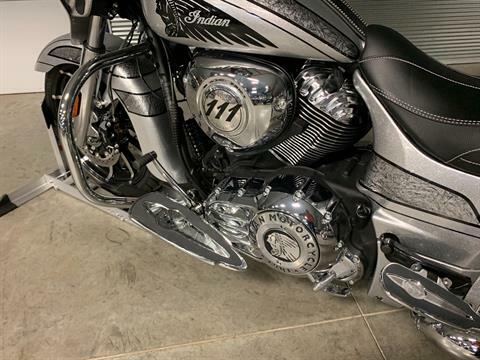 POWERED BY THE THUNDER STROKE 111: An award-winning V-Twin that delivers 119 ft-lbs of torque and power to spare in every gear. 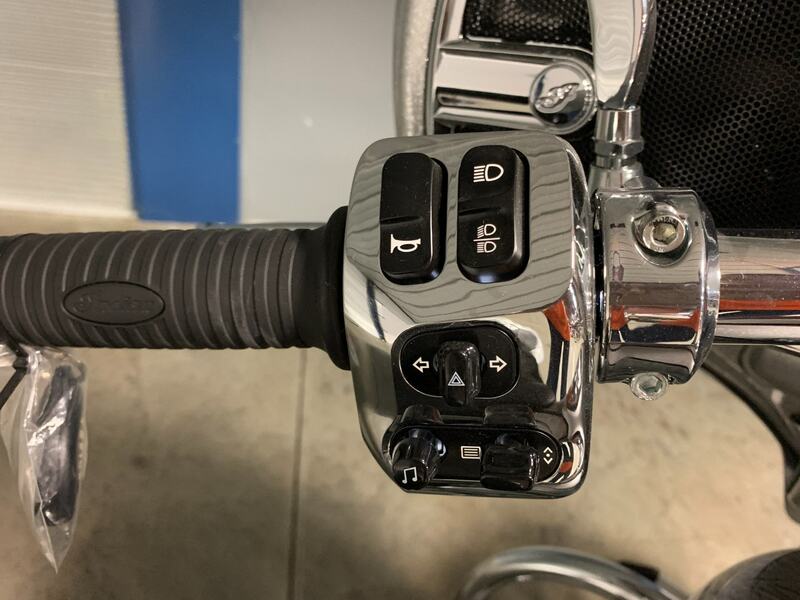 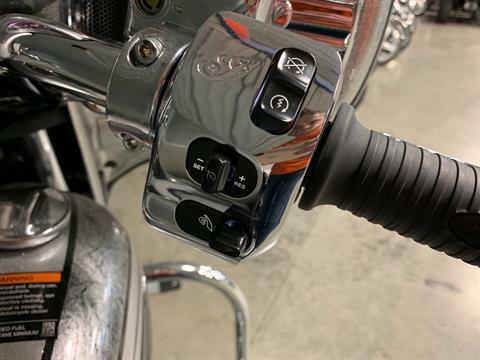 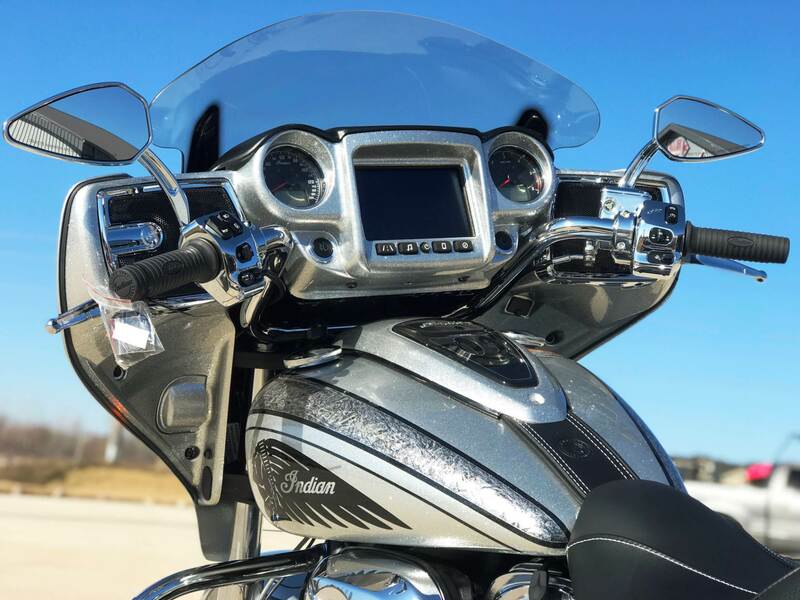 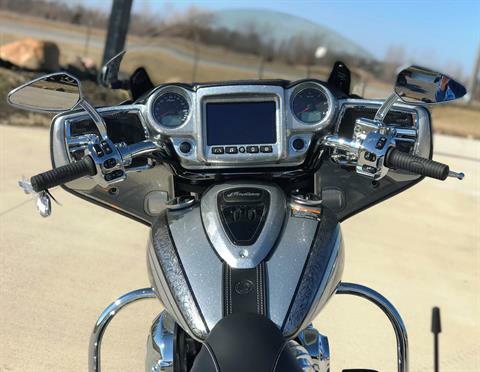 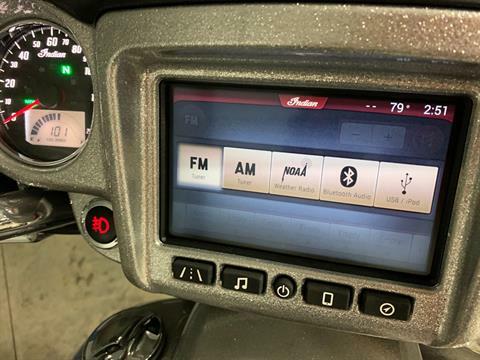 EQUIPPED WITH RIDE COMMAND: The largest, fastest, most customizable infotainment system on two wheels. 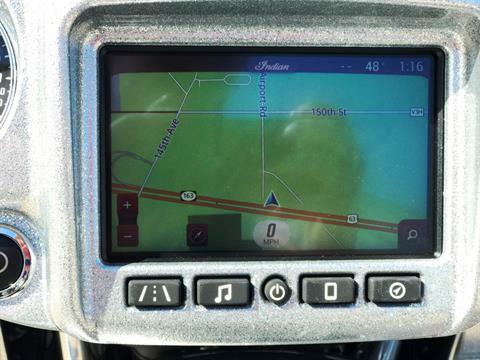 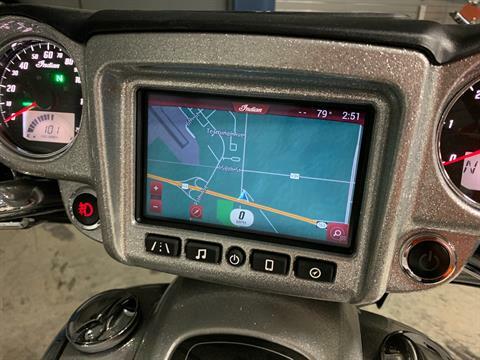 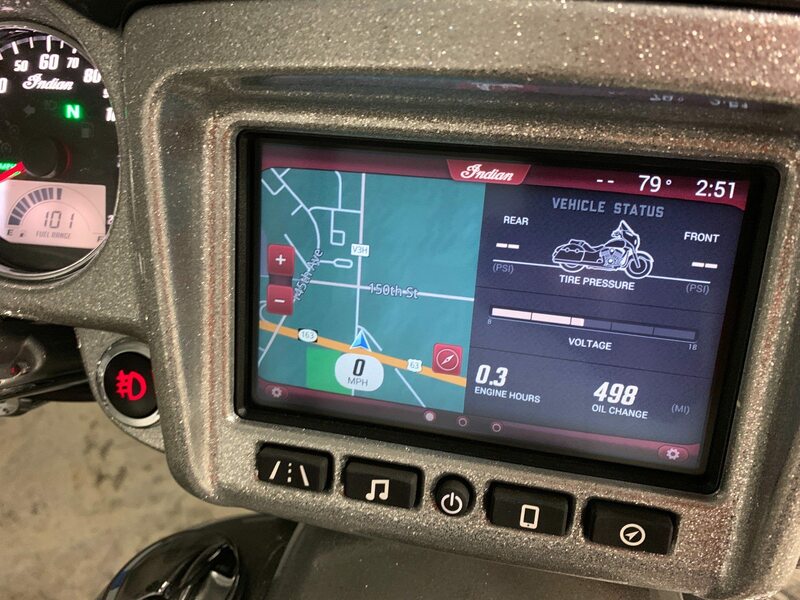 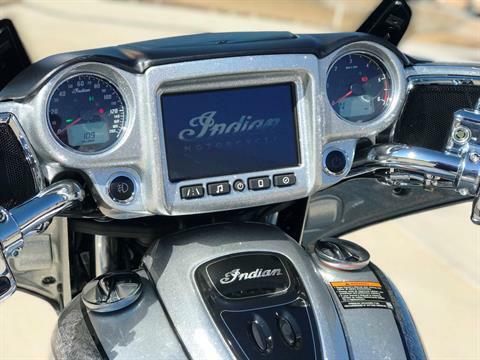 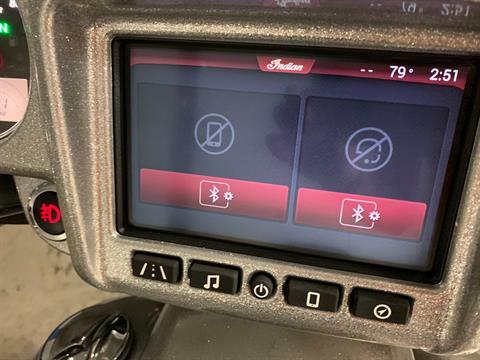 A 7" glove-compatible touschreen display features turn-by-turn navigation, Bluetooth® connectivity, vehicle information and much more. 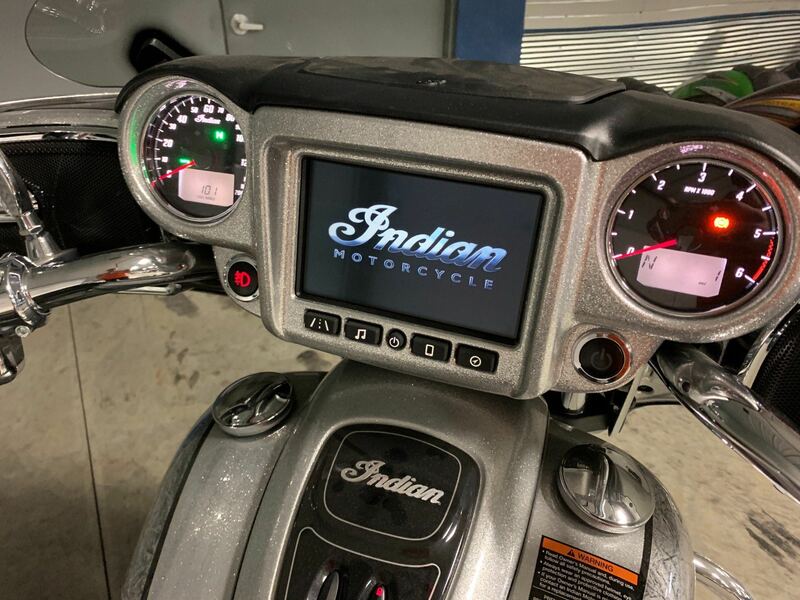 It's easy to customize your split-screen display to only see what you want to see. 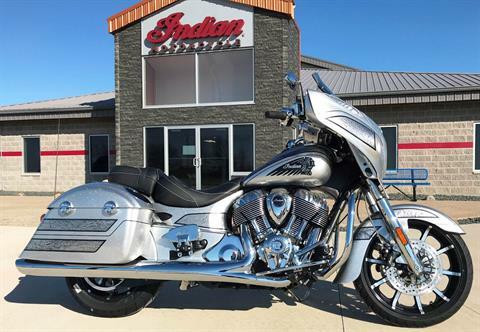 LOADED WITH PREMIUM STYLE: Pinnacle mirrors, aluminum billet flooboards, genuine leather seats and a tinted, flare windshield are standard. 19 IN. 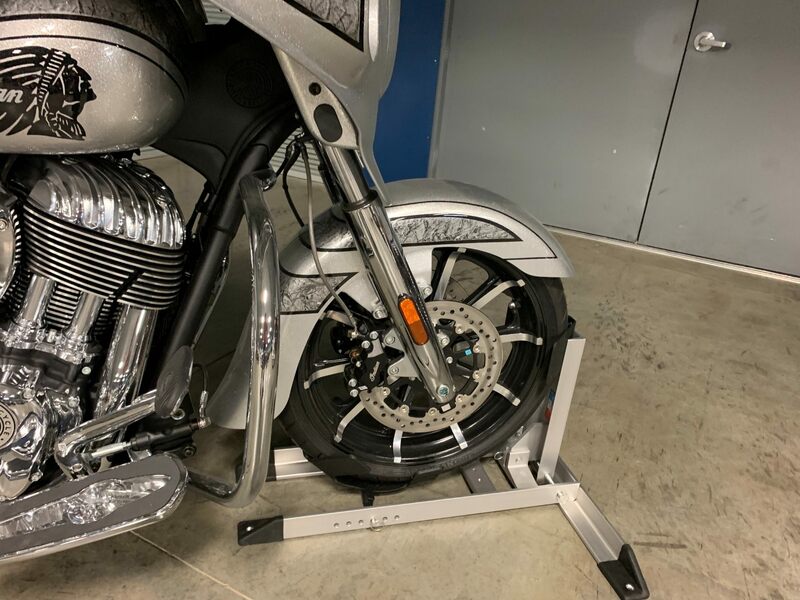 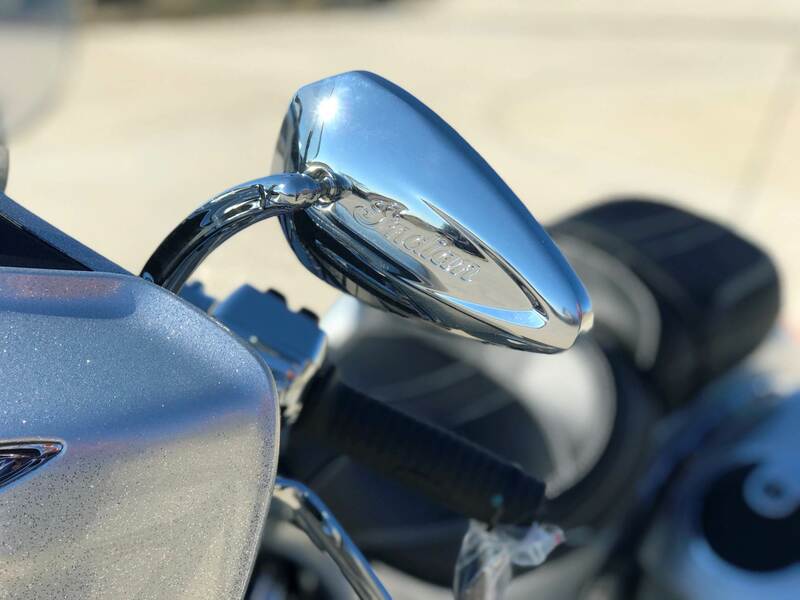 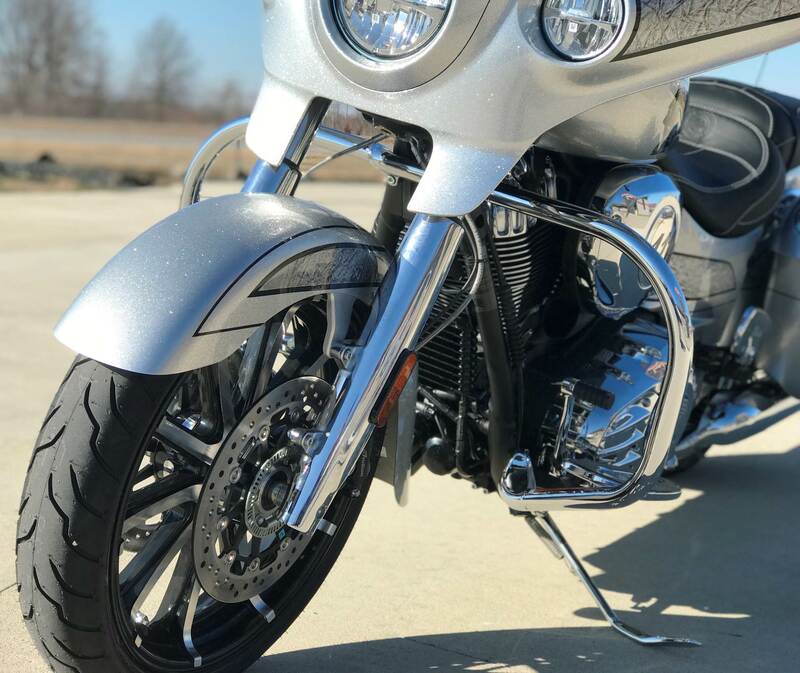 FRONT WHEEL: An open fender, inspired by the Indian fenders of the 1920s and 1930s, showcases a 10-spoke, contrast-cut wheel that completes the custom look. Fairing mounted instrument cluster featuring analog speedometer and tachometer, with fuel gauge, range, odometer and current gear. 15 LED telltale indicators; cruise control enabled, cruise control set, neutral, high beam, turn signal, ABS, check engine, low tire pressure, battery, low fuel, security system, low engine oil pressure and MPH or Km/H unit designation. RIDE COMMAND: 7" Touchscreen including realtime clock; ambient air temperature; heading; audio information display; vehicle trouble code readout; Vehicle Status (tire pressure, voltage, engine hours, oil change); Vehicle Info (speed, fuel range, RPM, gear position); Dual Trip Meters (fuel range, miles, average fuel economy, instantaneous fuel economy time, average speed); Ride Data (heading, moving time, stop time, altitude, altitude change); Bluetooth connectivity for phone and headset; Map/Navigation.